freespace | KANTO Electronic Application and Development Inc. 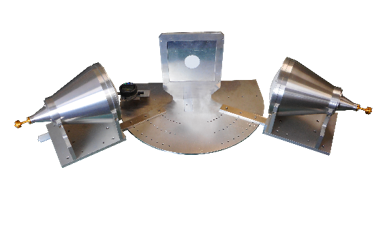 The free space method is indispensable to material evaluation in microwave, which can flexibly deal with a wide range of applications such as permittivity/permeability measurement and oblique incident reflection measurement. 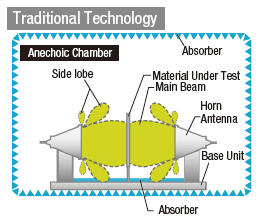 Our solution is revolutionary in that it enables accurate evaluation without anechoic chamber and radio wave absorber. We have also simplified the mechanics significantly for easy operation while maintaining measurement accuracy. Combined with the Keysight material measurement suite N1500A, efficient and reliable material measurement can be performed. About technical information, refer to "S parameter method technology overview." How to prepare your measurement sample, refer to "Proper sample preparation is the first step in accurate measurement." 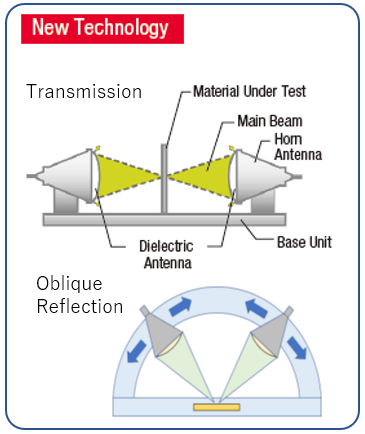 A proprietary dielectric antenna focuses the signal into the diameter of about 3 wavelengths on the material surface and suppresses the side lobe to less than -30dB. Since unnecessary reflection of electromagnetic waves hardly occurs, you can concentrate on material measurement without worrying about the surrounding electromagnetic environment. Moreover, since the signal is focused, a small sample can be used for measurements. 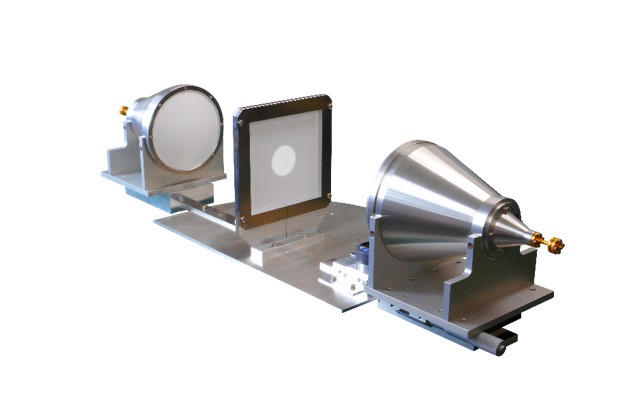 This high quality antenna system benefits oblique incidence reflection measurement: very small side lobe minimizes unwanted reflection, which results in highly reproducible measurements.